Meet LAGG (Lime – Aluminum – Green – Green). He lives a good 30-minute walk from a campground off Highway 120, far from any other junco territory, as seems to be the rule in our low-elevation sites. We did not see a mate with him—which is strange, to me, because from my subjective human perspective I think he is the handsomest male junco we have caught so far. 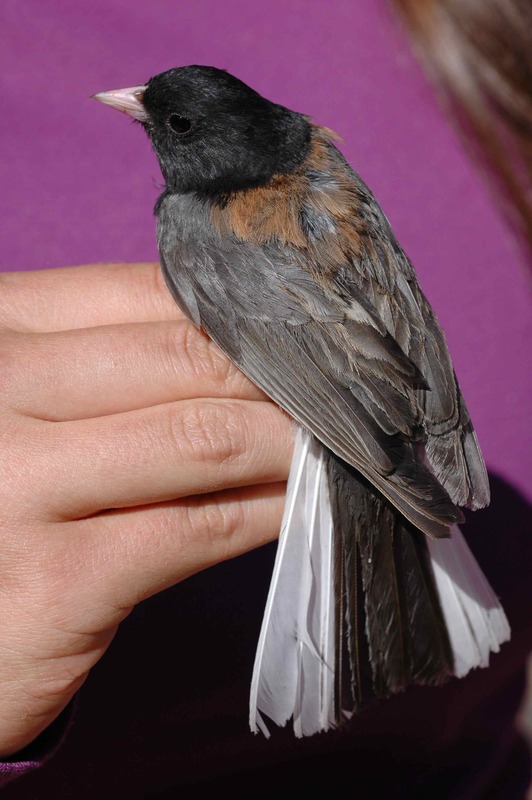 His head is stark black, no brown feather edges; his back is a rusty red-brown; his tail feathers have lots of white. But of course, there’s no reason to think that female juncos have the same taste in male juncos that I do—and that’s one of the things I’m hoping to find out: what aspects of junco appearance matter to female juncos? 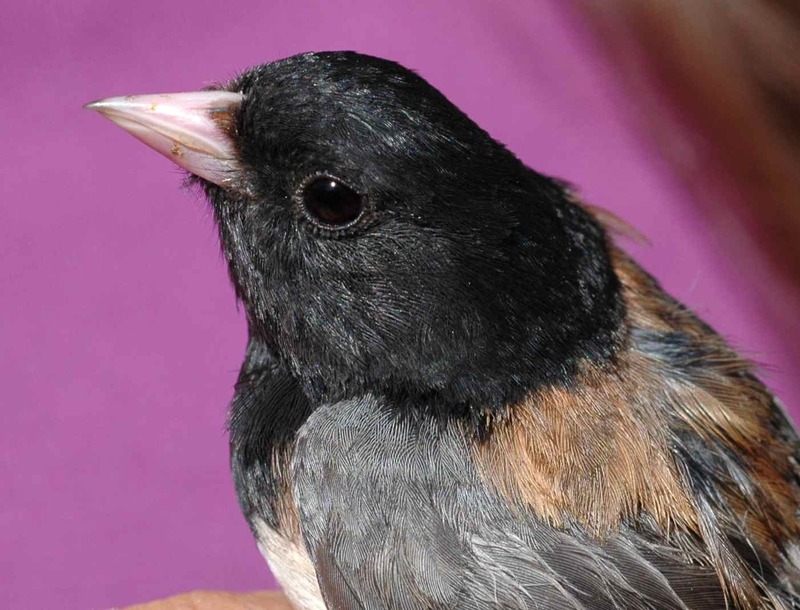 This entry was posted in DEJU, field work, notable juncos and tagged birds, Dark-eyed Junco, LAGG by toughlittlebirds. Bookmark the permalink.